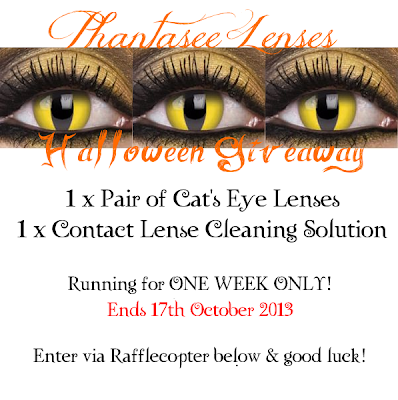 Phantasee Cat's Eye Lenses Halloween Giveaway! 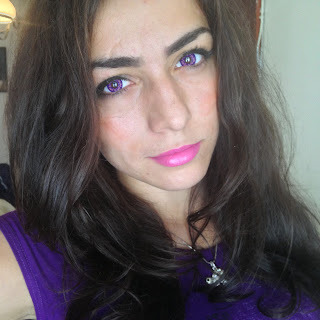 I love these contacts and think they're just amazing for Halloween or Fancy Dress parties. I wore them all day last Halloween, and I got so many compliments on how crazy, but cool they were. I still have them, and have the rest of the month to wear them before I can't use them any more, so I may still get one last wear out of them, before I am thinking about getting a new pair... Maybe the Twilight ones... Don't judge me! This year I'm back collaborating with Vision Direct for a Halloween Special Giveaway! You ladies can be in to win a pair of Maxvue Vision, Yellow Cat's Eye Phantasee Lenses, which last up to a whole year, and make a great addition to perfect any Catty, or Feline Halloween or even Fancy Dress make-up look! Meow! As well as a pair of lenses Vision Direct will send some Contact Lense Cleaning Solution so you can look after your lenses by cleaning them up with this after each use. A definite essential for contacts! 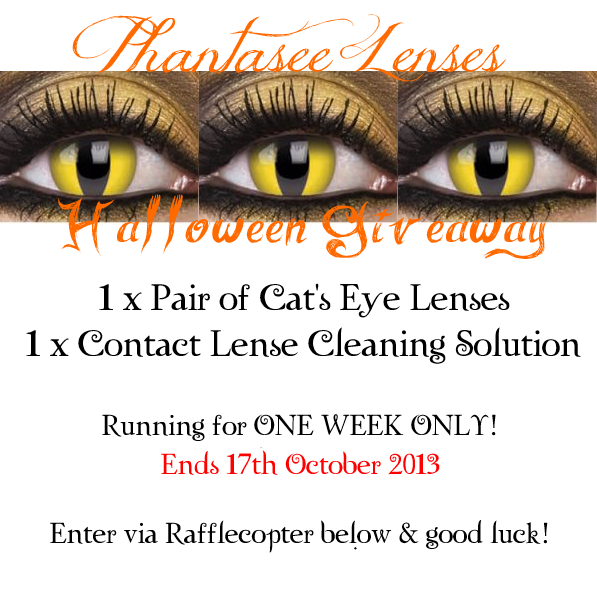 - The giveaway will last only one week, so that the winner can get their lenses in in time for Halloween. - The winner will be picked via Rafflecopter as it'll be super easy to enter and for me to check entries. - Once I've contacted the winner, they will have 48 hours to reply, failing to do so, I will pick another winner via Rafflecopter. Enter below & Good Luck!!!! I'm dressing up as I'm going to #bloggershalloween but I'm not sure what I'm going as as of yet! Every year, I seem to dress up as a witch! Different hat and dress but the same broom! It's quite an easy look to create and do love being a witch for an evening! Wishlist #43 - Christmas Edition!